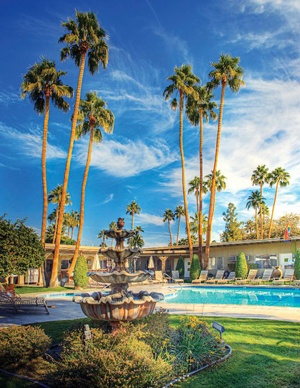 Palm Springs East Canyon Voted a Top Gay Owned Spa in U.S.
OUT TRAVELER has recently named East Canyon Hotel and Spa, one of the top 10 gay owned spas in the U.S.! The spa offers a wealth of options for pampering yourself. And the complex itself has won numerous awards! Palm Springs’ jewel in the desert. Awarded Out & About’s Five Palm and Editor’s Choice Awards for the past five years (2000 – 2005), and Member – World’s Foremost Gay and Lesbian Hotels. – 15 luxury rooms, attentive staff, full range of spa treatments, makes this a truly sensuous experience. The East Canyon Hotel and Spa is a refreshing destination for those seeking style and sumptuousness with a personal touch. The only gay hotel in Palm Springs with a full service spa.